I have a few apologies I need to say before I announce the winner of my Target giftcard giveaway. First, I feel I need to apologize for not getting this posted sooner. We had a lot of family stuff going on over Thanksgiving week that just made it impossible to do much on the computer. I'm sorry for leaving you all hanging. It's not my intention to post about a giveaway saying when it will be drawn and then not get to it... so sorry! The second is that for some reason there was a glitch in my Disqus comments during the giveaway. That means that some of the entries were posted on blogger's comment form. You can't see them as reader, but I can since I get them in email form too. Thankfully I do get the emails and I have them saved. 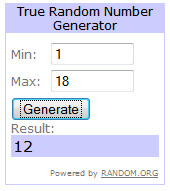 So basically what I had to do was go in and find exactly when I get each comment on date and time and then made an excel spreadsheet with the comments so I could figure out the winner based on the number that random.org gave me. If you want to question how I did it, I understand, and I can send you all of the emails and the spreadsheet for proof. I don't think most of you are like that, but I realize that we live in a world where people can lie, so I figured I'd offer that to you if you think it's fishy. And the 12th comment (from both the blogger AND disqus comments) was from Laura at A Hearty Overflow! Yay Laura! Email me your address and I'll get the giftcard mailed out :) Thanks to everyone who entered... I'm sure I'll have something else for you soon! Bullet Point Sentences, A Picture & a Giveaway. The Last of the Leaves. i heart faces | autumn splendor. Weekend in Review | Veterans Day. Yo Adrian: The Living Room Boxing Club. i heart faces | black.